If you were to take the GMAT test in Nigeria or the Lagos Business School (Pan Atlantic University) GMAT entrance test today, will pass? Fact: TRACTRAIN has successfully gotten more applicants into the Lagos Business School MBA (and EMBA) programme than any outfit in Nigeria. Last year TRACTRAIN recorded 98% success rate. This year we offer you (EMBA applicant), what you won’t find anywhere: a competitive advantage by drawing extensively from the experience of successful past applicants. For those pursuing the Lagos Business School(LBS) MSC in communication exam lectures in Lagos and Abuja. Contact us now. The three offerings below are our most potent arsenal to crack the GMAT test and guarantee that you get admitted into the MBA programme. GMAT Prep (group) for MBA/EMBA applicants- group lectures delivered by experts. 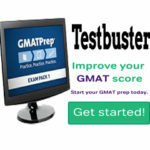 GMAT Private Prep– Get expert coaching, when and where you want it. Special attention. 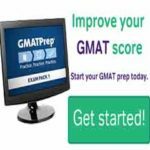 GMAT Prep/Self study Online: Affordable GMAT test prep online , over 5000 GMAT quesions and solution on your tablet, pc, mac or smart phone 24/7! GMAT lectures in lekki and Victoria Island axis: Tractrain Prep and admission centre, 18 Babatunde Jose road, off Adetokunbo Ademola Str., Victoria Island, Lagos. Weekdays and weekend lectures available. GMAT classes in Ikeja, Lagos:Tractrain Prep, 19 Emina Crescent, off Toyin street, Ikeja, Lagos. Weekend lectures available. Payments: For payment/bank details, please call Tractrain using the phone numbers below. +234-906-000-1365,+234-803-355-7712. for details on how we can help you succeed in spite of tough competition. I just checked my result and I passed! Thank you so much for the assistance/encouragement. Wish me luck at the interview. I am really glad I attended the TRACTRAIN GMAT prep programme and all the assistance with putting together my application. I had postponed going for an MBA programme for my years. It made all the difference in actualizing my goal of being admitted into a reputable Business School. The TRACTRAIN classes were like a tonic that set the stage for the preparation of the test and the Executive MBA programme proper. I’m very glad I attended those classes. Managing Director, MTS Property Dev. Co. Ltd. I knew prepping for my GMAT exam wasn’t going to be a walk in the park…I chose TRACTRAIN GMAT prep after seeking advise from my friend who had done the same. TRACTRAIN did it; I succeeded! Lagos Business School (LBS) is the graduate business school of the Pan-Atlantic University, Nigeria. 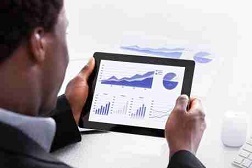 LBS is located in Lekki, Lagos, Nigeria. The school offers a full-time MBA program, Executive MBA programs. 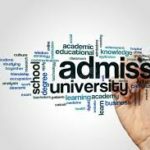 You cannot afford to approach the admission committee with a low or marginal GMAT score. Based onTRACTRAIN’s wealth of experience in successfully preparing applicants seeking MBA admission into the Lagos Business School (LBS)over the years, we have distilled the main techniques and approaches for excelling in the GMAT test, and condensed it into a clear, easy-to-grasp format. Applicants whose undergraduate disciplines had little or no numeric content ( such as Law, English Language, philosophy, sociology), those who have never attempted the GMAT test before and those who have graduated for many years prior to applying for an MBA, usually find the Lagos Business School (LBS) test particularly challenging. You’ll find up-to-date information on the the GMAT admission test for the full-time MBA and Executive MBA at the LBS website ( www.lbs.edu.ng ). Our exclusive GMAT prep programmes are held in Lagos and Abuja throughout the year. Well, if you are still thinking about the LBS? Then call us today on the numbers below.